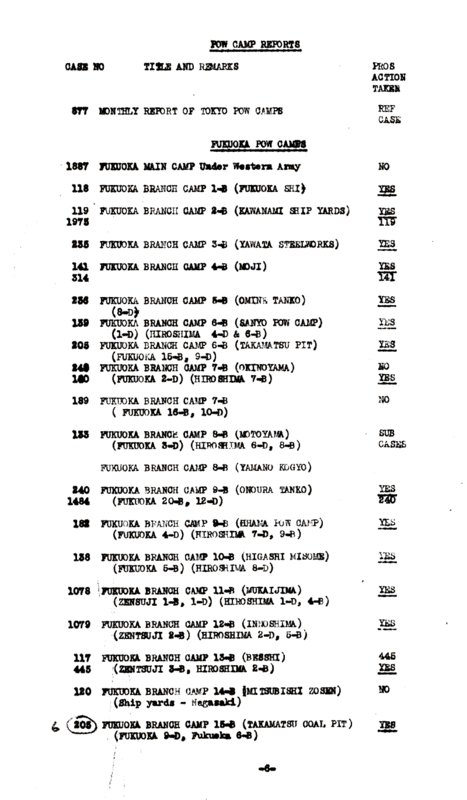 Document Notes: Believed to be a 1946 document, this list provides an accounting of all Japanese POW Camps. It also provides prosecution action status in the right column. It is included in the archives to illustrate the enormity of the POW situation.